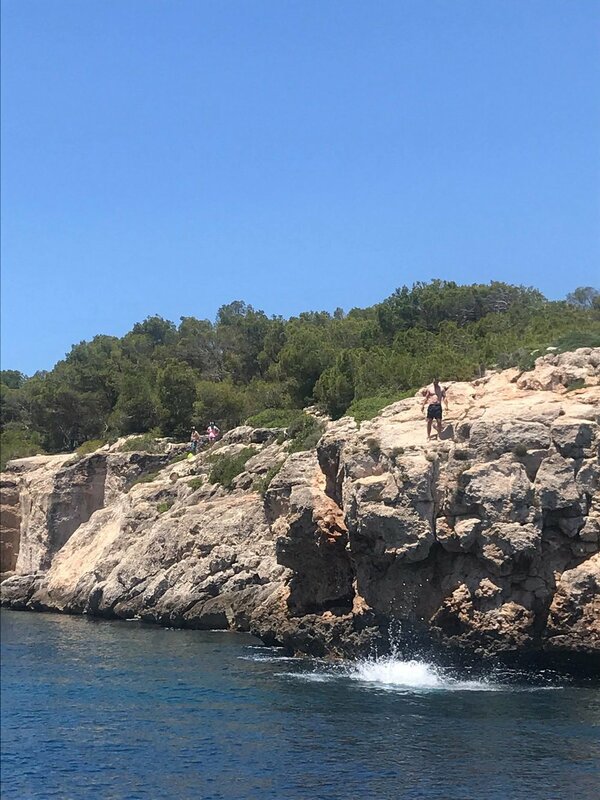 On a busy Thursday afternoon at Delicatessen, I got a text from a friend of mine asking what I know about Mallorca, Spain. 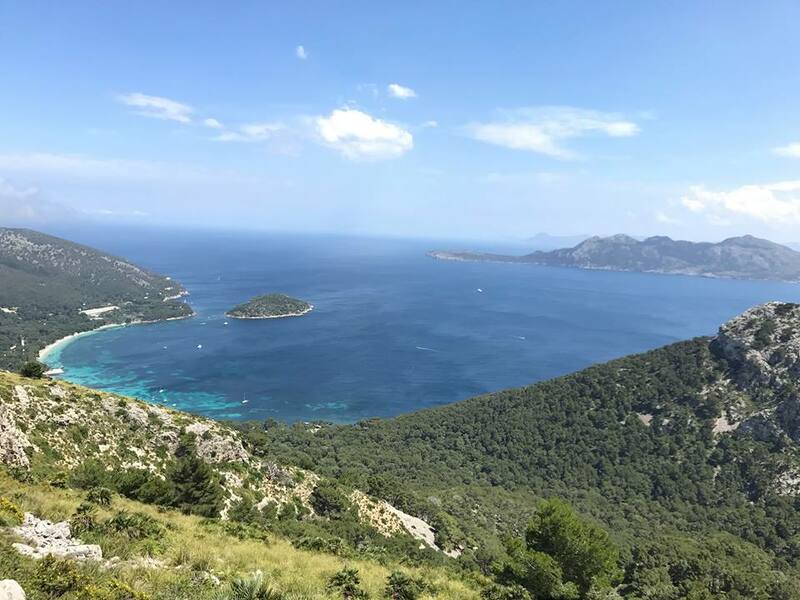 Little did I know from that text message, it would have lead to the following…..
Thirty days later in the Mallorca airport, I found myself picking up an obnoxious teal green convertible MINI Cooper and couldn’t be happier about it. So how the trip came about, is that a good friend of mine’s father did a house swap with a friend of his and ended up not being able to make it on those dates. 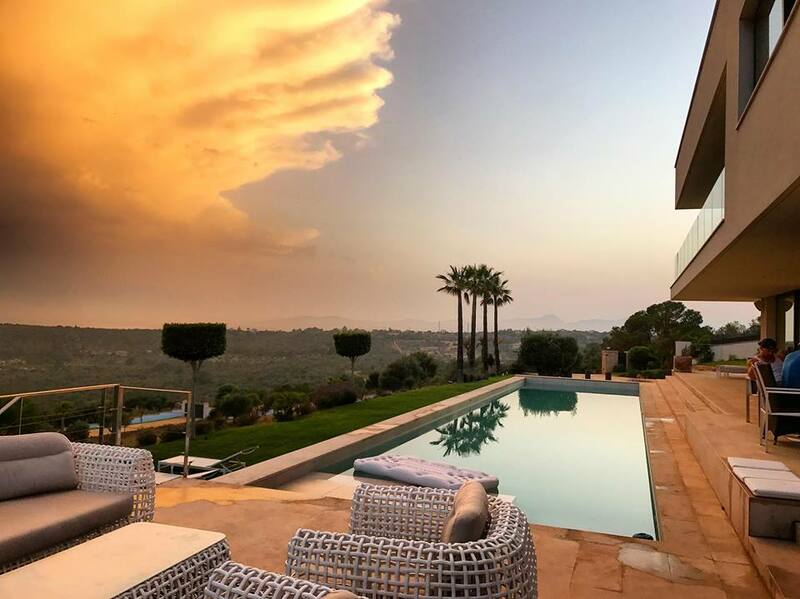 I don’t think we all realized how lucky we were about that until we pulled up to an ultra modern 7 bedroom luxury villa with an infinity pool overlooking the mountainside of Mallorca. 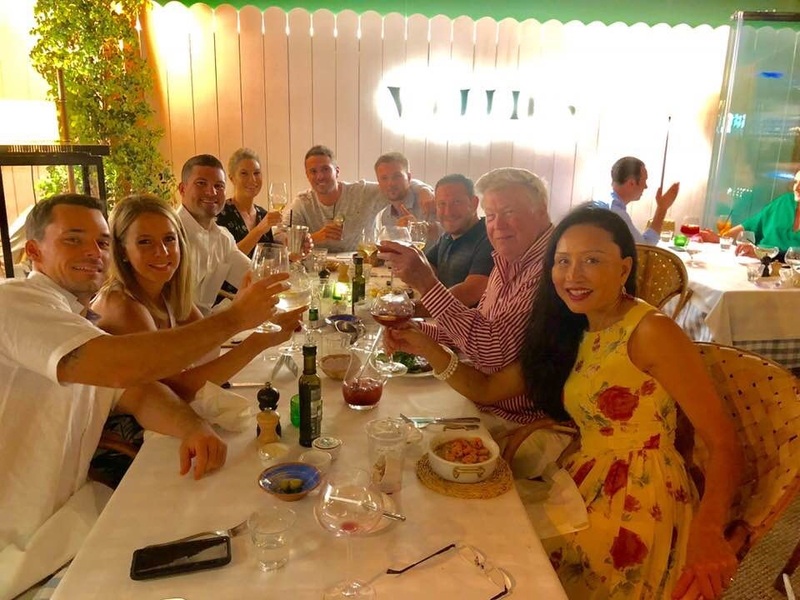 On our first night there, we were all pretty jet-lagged and tired from lounging around and drinking beer out on the patio, but we rallied to go out to dinner down by the Mallorca marina. Going into this trip, none of us knew too much about Mallorca aside from the fact that it’s gorgeous and it was described to me as an Ibiza that is just a little bit more tame. Something that I didn’t know and made me glad to have the teal MINI Cooper is that not much is centralized on the island and a car is very necessary. As in many exotic locations, the ports are filled with extravagant super yachts, overpriced restaurants and high-end shopping. I would say that the food in these restaurants by the ports was still very good, but not quite as good as the food you would find in the other parts of Spain such as Barcelona, San Sebastián or Madrid. While in Mallorca, I would only recommend a couple of these meals because frankly, there are tastier, more affordable meals and endless amounts of beauty to explore. Each morning in Mallorca started off the same for me. I put the top down on the MINI Cooper, drove to a local café and had an espresso, and waited outside the food market until they opened to shop for breakfast. Whenever I’m hungover and cooking for groups of people in the morning, I go with my signature move: the frittata. You can tell these small markets are where the locals shopped as they were packed with incredible produce, the most delicious local cheeses, and charcuterie. After that first morning’s frittata, we experienced the only day of rain while there. So what better to do on a rainy day on vacation than to drink, right? 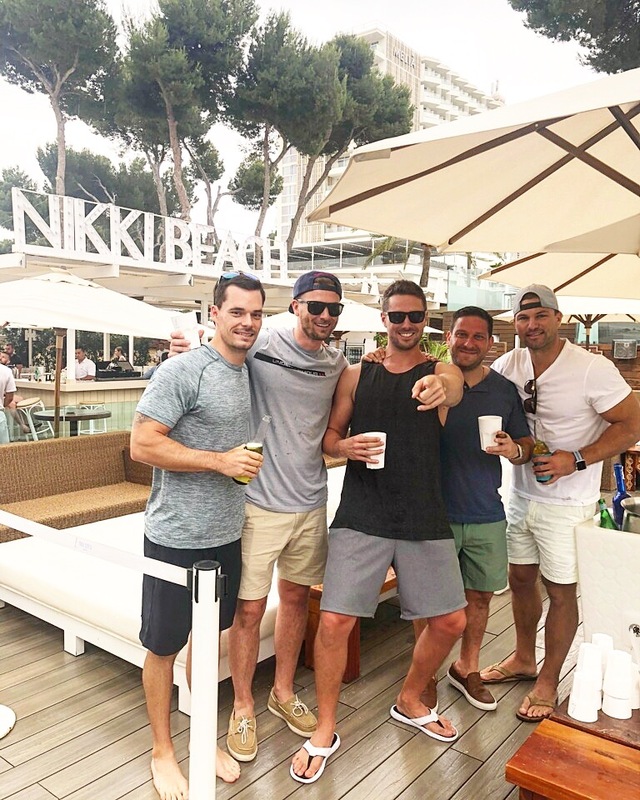 We headed over to Nikki Beach Mallorca which ended up being a little less crazy than some of the other locations I have been to over the world, especially because it was raining on and off all day. This day goes down as the most memorable rain day I’ve ever had. 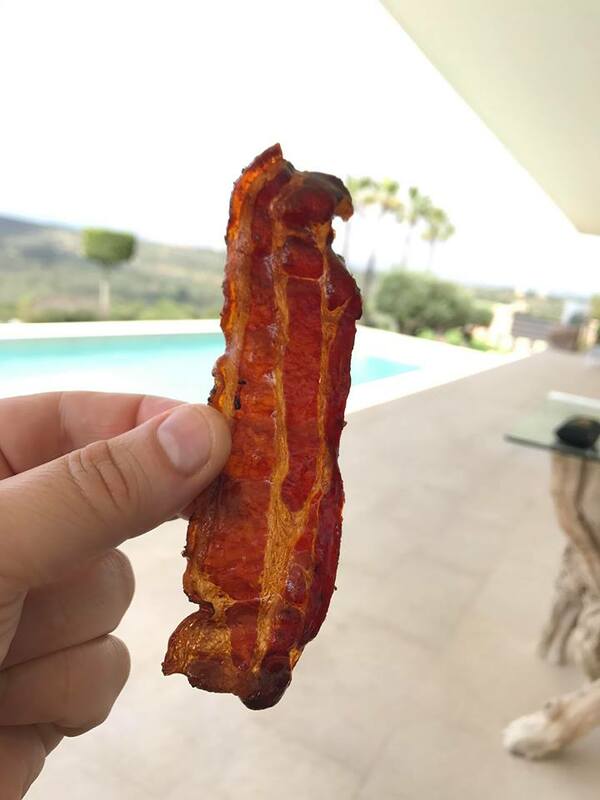 After giving it our all at Nikki Beach, I stopped at another local market and picked up some gorgeous Spanish beef. The rest of the night was spent at the villa drinking Spanish wine and eating in one of the most beautiful settings imaginable. Because we had such a big group, we were all a little torn on activities during the trip. Some people wanted to be in the ocean, while others wanted to go cliff diving, and the rest wanted to do sightseeing. So we all came to terms that the best way for everyone to be happy was to rent a boat and a boat captain. This captain definitely knew all the spots to hit. We ended up anchoring at Cala Varques and swam from the boat to the rocky cliff sides. These types of activities are definitely outside my comfort zone, but since the entire group was doing it, we climbed to the first tier which was about 20 feet, and all dove off. While swimming over there, I definitely didn’t like the idea of this all, but I am so glad I did it and highly recommend others to step outside their comfort zones while in once in a lifetime situations. Originally we had planned to go out for a full day on the boat, but since this incredible location was so close to the marina, being out for 4 hours was more than enough. After arriving at Port Adriano, we decided to have lunch at Restaurante Bruno. Usually how it goes with a large group of friends, they make ordering for the table my responsibility. Before going all in with the ordering, I decided to order a few different types of croquettes first to see what we were dealing with at Restaurante Bruno. They were in the top 5 best croquettes I have ever eaten, which led me to the second stage of ordering. We had multiple rounds of pan con tomate, more croquettes, octopus, pitcher after pitcher of sangria..... then the rest got blurry, but the meal was excellent. 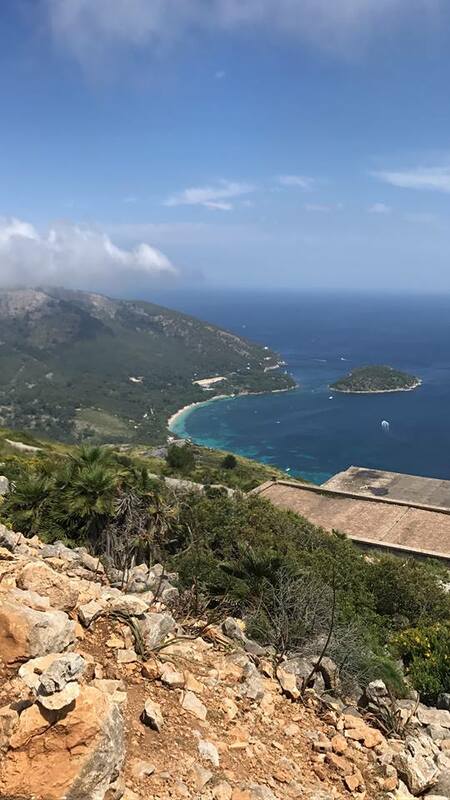 For my final day in Mallorca, immediately following frittatas, we jumped into the MINI Cooper and headed towards Cap de Formentor. The drive was about 45 minutes and the views got significantly better minute by minute. The windy roads that spiraled up the mountain graced us with breathtaking 360 degree views of the island. There are a couple different stops you can take on your way up and I suggest you stop at them all as they provide great photo ops. Give yourself a couple hours to explore up at the top. As you come down the mountain, there’s a sign that points to the beach on one side, or the town on the other. Half the group decided to go into the old town, while the MINI Cooper group made a very smart decision to hit the beach. We each took turns walking up to Formentor, a Royal Hideaway Hotel for cocktails and returned to the waist deep water and reminisced on old stories while watching the sunset. That night I decided to take the group out to dinner so I researched an old school paella place and came up with Bodega Can Ferra, highly recommended for paella, fresh fish and reasonably priced Spanish wines. Although this was only a 4 day trip, I definitely maximized each day and felt I had experienced a lot of what Mallorca had to offer. 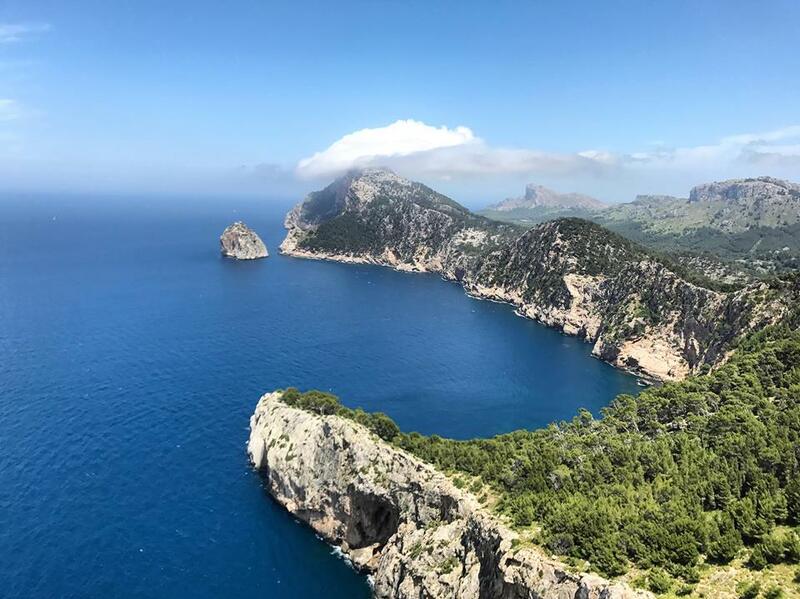 When exploring Balearic Islands, make sure Mallorca is on the list. Shout out to the entire Mallorca crew, thanks for making it a memorable trip!